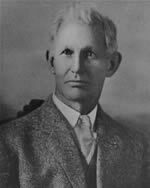 Dunlap Avenue was named after Phoenix Mayor John T. Dunlap, who was mayor from 1904 to 1905. It ran a short distance in an area of Phoenix we now call Sunnyslope. The bridge going west over the canal wasn't built until the late 1960s, so the street that we now call Dunlap (west of the canal) was Olive. 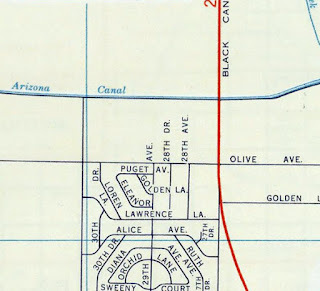 When the bridge was built, and the streets connected, the city of Phoenix decided to rename Olive to Dunlap. 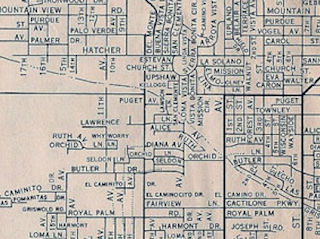 There weren't really a lot of houses or businesses on Olive in Phoenix at that time, so it probably didn't cause much of an uproar. Of course, in Glendale, there were plenty of businesses and homes on Olive, so the name remained. 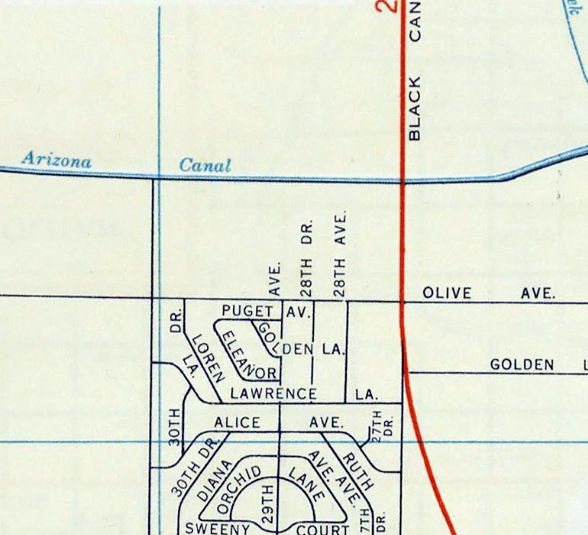 The city limits of Phoenix/Glendale is 43rd Avenue, and that's where the two roads change names. Map at the top of this post is the Sunnyslope area in 1957. Note that there was no bridge over the canal on what is now called Dunlap.